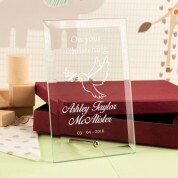 Commemorate your child's monumental day with this beautifully engraved glass plaque. 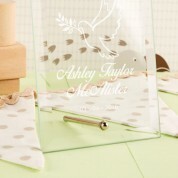 This piece, featuring an elegant dove, will be engraved with the name, date and celebration of your choosing. 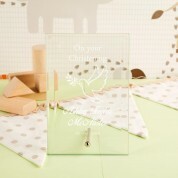 The design comes with a barrel pin stand to ensure you can display it anywhere in your home with pride. This wonderful keepsake comes beautifully presented in a gift box to make the whole occasion a truly special affair.